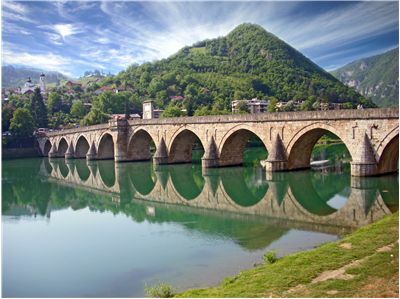 Bridges, when built, become marvels of engineering and works of art. As such they are also regarded as landmarks of the regions they belong to and they change how we see and use our surroundings. Because of their influence they become famous and known around the world. 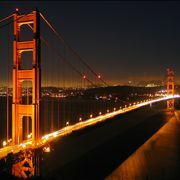 Here are some of the most famous bridges in the world. 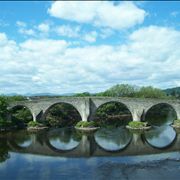 You can find information about other notable bridges in our categories. Look and safety of a bridge is limited only by ingenuity if its designer. 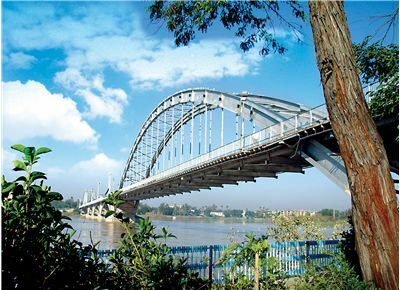 We have many types of bridges which were invented, during the history, to solve some particular problem and cross an obstacle which inhibited progress of humanity. 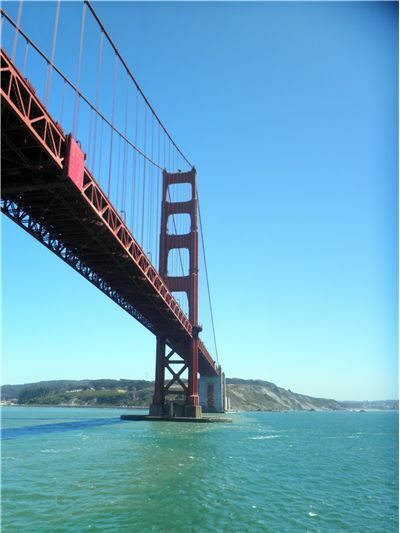 Golden Gate Bridge , suspension bridge spanning the Golden Gate, the strait between San Francisco and Marin County, was the longest suspension bridge span in the world when it was completed in 1937. 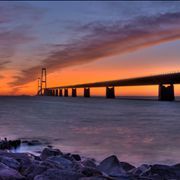 Its total length is 2,737.4 m. It is painted in characteristic red-orange color (so-called International Orange) so it could be easily visible through the thick fog that frequently shrouds the bridge. Gateshead Millennium Bridge in Gateshead, on the River Tyne in England, is the only tilt bridge in the world. It is built in a half circle shape that lays horizontally, with an interesting system that allows for ships to pass beneath it. It is used by a pedestrian and cyclists. 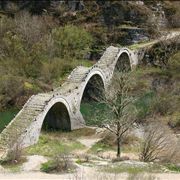 Alcántara Bridge is a Roman stone arch bridge built over the Tagus River at Alcántara, Spain. It is built between 104 and 106 AD and it still stands today despite the heavy damage from war and from the elements (more war than elements). On the archway over the central pier stands text: “I have built a bridge which will last forever”. First Bosphorus Bridge is a bridge over the Bosphorus strait in Istanbul, Turkey. It total length is 1,560m and it connects two continents - Europe and Asia. It was constructed in 1973. Magdeburg Water Bridge is actually a large navigable aqueduct which is located in central Germany, near Magdeburg. It is built over the river Elbe to connect the Mittellandkanal to the west and Elbe-Havel Canal to the east of the river. 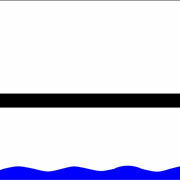 Its purpose is to allow large commercial ships to pass between the Rhineland and Berlin. 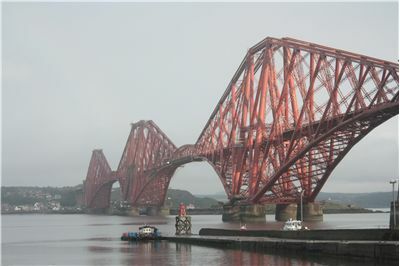 Its total length is 918 m and is finished in 2003. 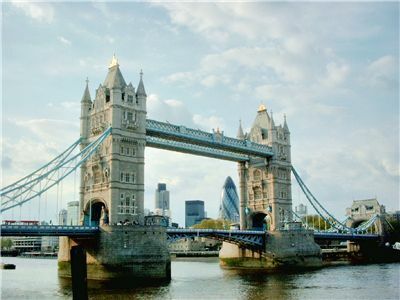 Tower Bridge is a combined bascule and suspension bridge that crosses the River Thames in London. 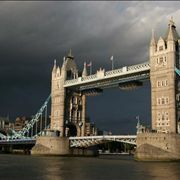 It was built between 1886 and 1894 and is one of the most recognizable London landmarks. 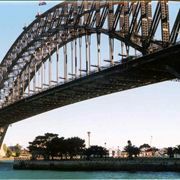 Sydney Harbour Bridge is the sixth longest spanning-arch bridge in the world, and it is the tallest steel arch bridge. It is, of course, located across the Sydney Harbour and it carries rail, vehicular, bicycle and pedestrian traffic. 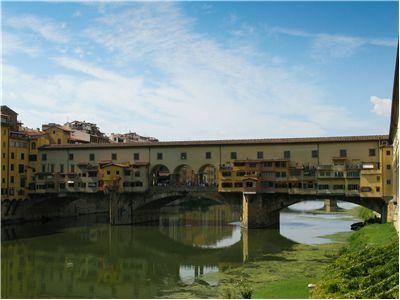 Ponte Vecchio over the Arno River, in Florence, Italy is a medieval stone closed-spandrel segmental arch bridge that still has shops built along it. It first appears in documents in 996 and since then it was rebuilt many times. Erasmusbrug (Erasmus Bridge) is a cable-stayed bridge across the Nieuwe Maas, in Rotterdam, Netherlands. 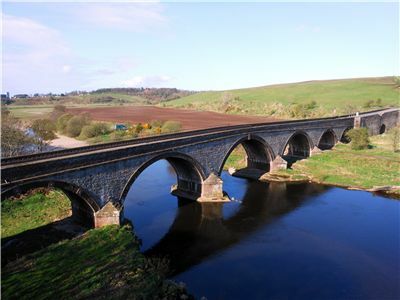 It has a 139-metre-high asymmetrical pylon, which earned the bridge its nickname of "The Swan". 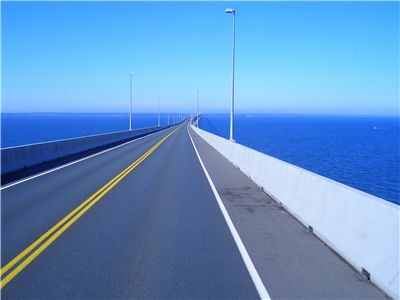 Its southern part is an 89 m bascule bridge for ships that cannot pass under the bridge. Chain Bridge is a suspension bridge that spans the River Danube between Buda and Pest, parts of Budapest. It was opened in 1849.